A government statement said Belgium was the "true backer of the assassination of Rwagasore", in the first direct accusation over the murder by Bujumbura, which said it plans to probe the six-decade old incident. A government statement said Belgium was the “true backer of the assassination of Rwagasore”, in the first direct accusation over the murder by Bujumbura, which said it plans to probe the six-decade old incident. The statement said that Brussels “has yet to explain itself” over the killing of Rwagasore, who played a key role in Burundi’s anti-colonial movement. Rwagasore was named prime minister in the run up to independence, but was shot dead a month later by a Greek assassin accompanied by three Burundian members of a pro-Belgian party at a hotel in the capital – a little over a year before independence was achieved in July 1962. He is one of Burundi’s most beloved heros, with his name gracing stadiums, schools and roads across the country. In the statement, the government said it “plans to launch a technical commission to investigate the assassinations … of Rwagasore” and his two young children a few months later. 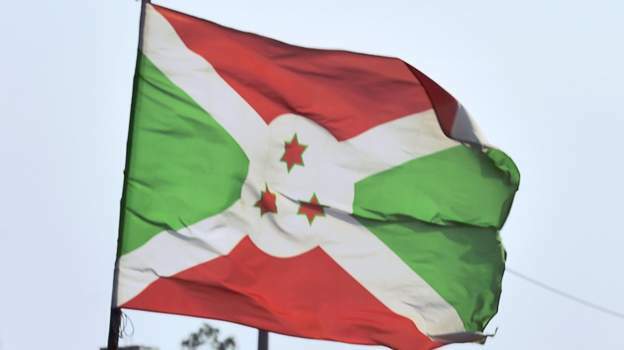 The Kingdom of Burundi, believed to date to the 17th century, came under German colonial rule in 1890, but was awarded by the League of Nations to Belgium after World War II. Rwagasore was the eldest son of King Mwambutsa IV. Burundi has been gripped by political crisis since President Pierre Nkurunziza sought a third term in office in 2015, provoking severe civil unrest that has left at least 1,200 dead and displaced over 400 000 people. In October 2016, Belgium withdrew its ambassador to Burundi and suspended several development projects, as Bujumbura’s relations with foreign allies worsened over the crisis. The following month, the executive secretary of the ruling CNDD-FDD Evariste Ndayishimiye accused Belgium of “acting as if Burundi is still under its yoke,” on Twitter, after accusing it of backing the opposition.